Mixed red roses and ivory and blue hydrangeas made for festive July 4th bouquets and centerpieces. 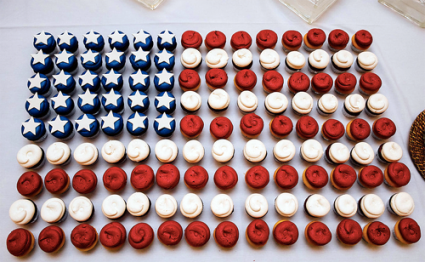 Lemon, chocolate and red velvet cupcakes were decorated and arranged into a scrumptious American flag. 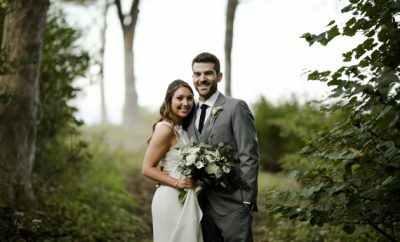 Emilie shined in a custom gown from a quaint boutique where, in 1971, her mother also purchased her wedding dress. 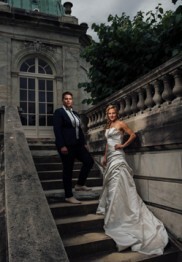 Nicole wowed in a custom navy tuxedo with ivory pleats and merlot lining. 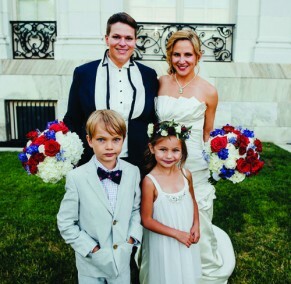 After the ceremony she changed from her cream silk cummerbund into a needlepoint American flag cummerbund to match her father’s. 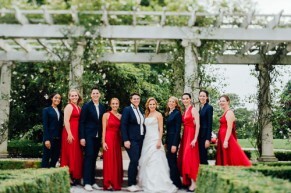 Half of the wedding party wore mixed style, floor length merlot gowns and the other half donned navy pinstripe ladies’ suits with cream silk blouses. 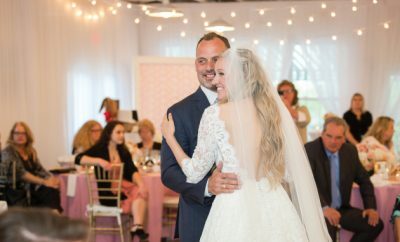 The newlyweds danced to “The Origin of Love,” which celebrates the idea that love originates from the pain that occurs from a destined couple splitting apart and the joy of reuniting two sides as one. 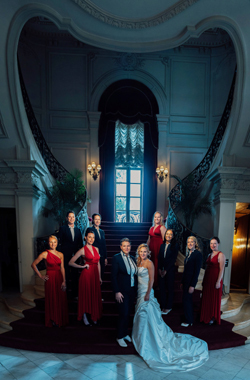 To emphasize the meaning, two couples, one man and woman, the other man and man, joined Nicole and Emilie on the dance floor. 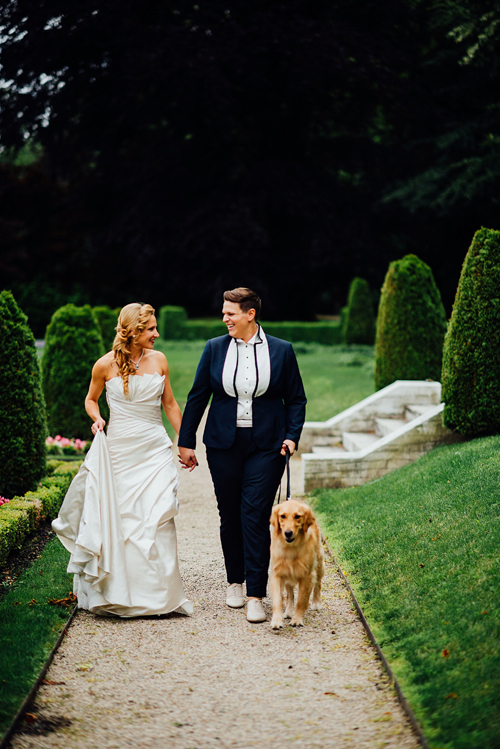 After a fun-filled tropical honeymoon in Hawaii, Emilie and Nicole returned to their Brooklyn, NY home. Both work with Goldman Sachs, Emilie as an associate and Nicole as a senior analyst.